Portuguese is a global language. Beyond Brazil and Portugal, Portuguese is the sole official language of Angola, Cape Verde, Guinea-Bissau, Mozambique, and São Tomé and Príncipe. It is also the co-official language in East Timor, Equatorial Guinea, and Macau. Therefore, there are approximately 202 million native Portuguese speakers!. Due to the global reach of this language (#6 in the world), we receive frequent requests in South Africa for Portuguese translation services. When we receive requests from our clients, our first question is typically “What kind of Portuguese? Indeed, just as English has variations in the United States, Britain, India, Ireland, and so forth, Portuguese has its variations as well. This is quite important to remember when translating documents into Portuguese, since some of the linguistic variations and cultural differences could cause issues in understanding, relevance, and interpretation. The two main types of Portuguese are European Portuguese and Brazilian Portuguese. While European Portuguese is often considered to be the standard, only 10 million of the roughly 200 million Portuguese speakers follow the European Portuguese standards. Today, native Portuguese speakers can effectively communicate with each other but will likely notice a dialectal difference in pronunciations, verb conjugations and forms of address. For example, the way the pronouns tu (Portugal ) and você (Brazil) are used can make or break a conversation. 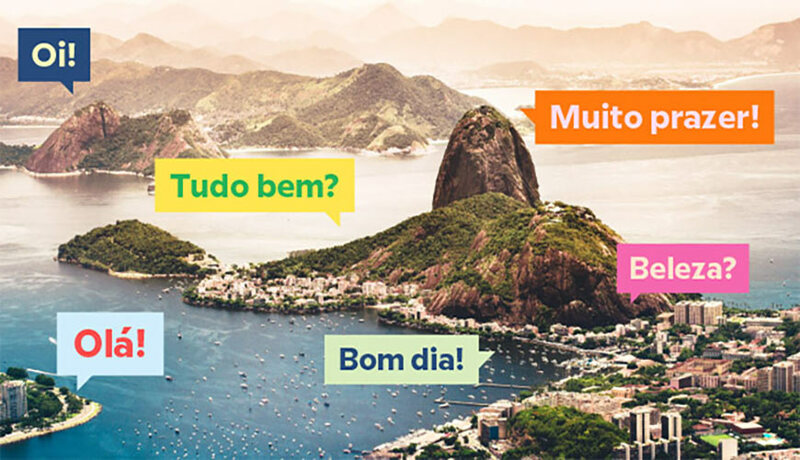 Both terms mean “you,” but in Brazil, você can be used both informally and formally to address friends, family members, associates and co-workers. In this, it is similar to English, which does not distinguish between formal and informal pronouns. On the other side of the Atlantic, “tu” is used in casual situations. Not being aware of the formal and informal usage can confuse or offend some people. In Portugal, você is not used as often, preferring to conjugate tu using the third person singular form. Similarly, tu is used in some parts of Brazil, but is not as widespread. Another key difference is vocabulary. If you have plans to travel, you may want to brush up on a few terms. For instance, if you want to take the train in Brazil, the word is trem, whereas in Portugal it is comboio. The same goes for the word for bus. In Brazil you’d take the onibus and in Portugal you’d ride the autocarro. In addition to Amerindian and African languages, European languages like French and Italian influenced the Portuguese of Brazil. Ciao, Italian for goodbye is used and written in Brazilian Portuguese as “tchau.” Brazilian Portuguese is also known for following French suffixes. Most Portuguese speakers will be able to figure out what the text says regardless of which variation a text is written in, so why does it matter? For one reason, remember that all official texts use the word você and not tu in Brazil but not in Portugal, and when dealing with official documents you need to ensure that the language is specific and forms do not get rejected because of word choice or spelling issues. When dealing with contrasting cultures, you want to ensure your examples are relevant to the people reading your information. You also want to make certain that formalities are followed in accordance with local customs so as not to offend. Brazilians and Portuguese peoples take their countries very seriously. If in doubt, go to a football match. While instructions for a coffee maker might not make that much of a difference, the advertisement for one just might when it comes to sales. Academic and professional papers might be viewed differently, too. After all, if you were preparing to give a presentation in Brazil, you would not want to give your attendees copies of your material in European Portuguese; that would be bad form.